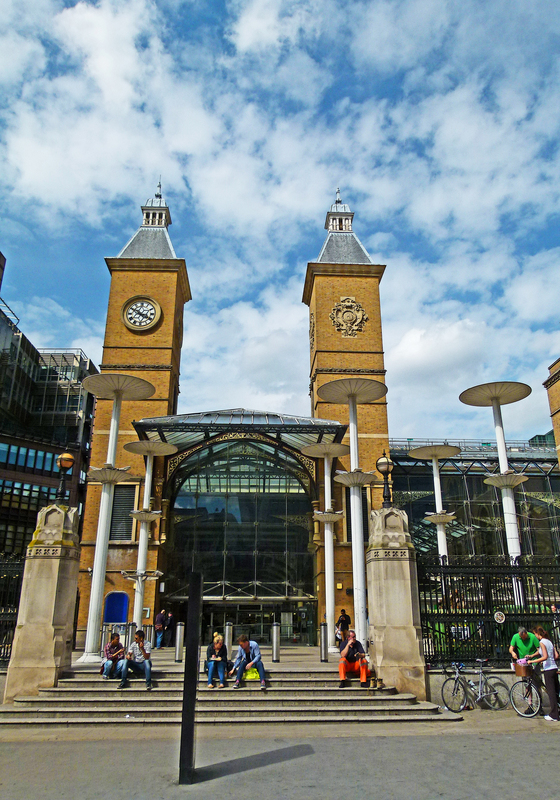 Having covered the corridor of stations which lie along the Marylebone and Euston road, we now move down into the City and onto one of the capital’s busiest terminals- Liverpool Street Station. Liverpool Street (the road rather than the station) in its present form dates back to 1829 and is named after Robert Jenkinson; aka Lord Liverpool, a long-serving Prime Minister who was in office between 1812 and 1827. Liverpool Street is not the first road to provide passage along the route. The modern road was predated by a lane known as Old Bethlehem; a winding path which had existed for centuries; its name deriving from the fact that Bethlehem Hospital once stood on the ground now occupied by the station. The institution, which lay just outside the old city wall, first began caring for the mentally ill (or, as they were known back then, ‘distracted’) patients in 1377. The term, ‘cared for’ however is grossly inaccurate. Bethlehem Hospital was a hellish place, where patients were chained to their beds and considered to be no more than wild beasts. When heavy irons weren’t enough to keep them under control, patients were whipped or plunged into cold water in fruitless attempts to stifle their madness. It comes as no surprise therefore that the word ‘Bedlam’- an old corruption of the hospital’s name- has passed into the English language as a phrase denoting a place of utter chaos and despair. In 1676, the hospital moved a few hundred yards to Moorfields (where Finsbury Circus now lies), just across the road from where Liverpool Street station is now situated. Designed by Robert Hooke, who was Sir Christopher Wren’s right-hand man, the new building was a very grand affair indeed. The gates to the new asylum were presided over by two large sculptures; Madness and Melancholy. It was within the new Bethlehem hospital that the notorious- and highly profitable-practice of inviting the public to come along and gawp at the patients first began. Special galleries were incorporated into the building’s design for the purpose; small arenas where the patients were paraded like creatures in a menagerie. An idea of what this process looked like can be garnered from William Hogarth’s innovative series of paintings, The Rake’s Progress. Produced between 1732-33, Hogarth’s masterpiece consists of eight artworks which chronicle the decline and fall of Tom Rakewell, a young man who, after coming to London, is seduced by gambling, partying and prostitution. If you wish to see original Rake’s Progress, it can be found within the wonderful Sir John Soames Museum at Lincoln’s Inn Fields. In 1815, Bethlehem Hospital moved out of the area for good, establishing a new home south of the Thames in Lambeth. During the move, patients were transferred to the new hospital in a fleet of specially chartered Hackney carriages. The first station to arrive in the Liverpool Street area was the now vanished Broad Street, which opened in 1865 and remained in service until 1986 (an earlier post all about this former station can be found here). Liverpool Street Station followed a few years later, opening next door to Broad Street in 1874 as the London terminal for the Great Eastern Railway. Before their grand station opened, the Great Eastern had operated a smaller terminus just outside the City boundaries called ‘Bishopsgate’, which opened in 1840 on the junction of Shoreditch High Street and Bethnal Green Road. The site remained in use as a freight depot until December 1964, when it burnt down. Today, the location is once again in use by the railways, with the London Overground’s recently opened Shoreditch High Street station occupying the former derelict land. The architect behind Liverpool Street station was Edward Wilson; a Scotsman who was born in Edinburgh and was the Great Eastern’s chief engineer. As regular users of Liverpool Street will know, the tracks actually lie below street level and one must descend stairs or escalators to reach their desired platform. Liverpool Street’s two levels can be seen here- the balcony is at street height whilst the lower concourse, where trains arrive and depart, is below ground. The reason for this is that the platforms were originally designed to provide a seamless link with the London Underground’s Metropolitan line. At the time, The Great Eastern was a business partner of the new-fangled underground railway, so a smooth link-up with the subterranean system was considered to be financially beneficial. In order to achieve this connection, the Great Eastern had to plough their tracks into Liverpool Street down a steep gradient, sending trains on their last leg steaming and groaning through a complex of dingy tunnels; a dismal approach to the metropolis which is still in use today. In 1884, a grand hotel- The Great Eastern was added to the station which, for many years, was surprisingly the only hotel in the historic square mile. The Great Eastern Hotel was designed by Charles E. Barry (Junior), son of Charles Barry (Senior) who was one of London’s greatest architects; the brains behind landmarks such as Trafalgar Square’s precient and the Houses of Parliament. Charles Barry Junior was very much a chip off the old block, his design for the Great Eastern Hotel being very grand indeed. When it opened, the hotel boasted a glass-domed roof and no fewer than two Masonic temples. A siding from the station was extended to reach beneath the hotel, creating a service area from where trains could take away the hotel’s waste and haul in coal to keep the well-heeled guests nice and toasty. The Great Eastern Hotel also boasted seawater baths, the sloshing liquid being brought in from the coast by goods trains. Speaking of water, when The Great Eastern Hotel was being constructed, it was impossible to lay down sewerage pipes due to the tunnels of the London Underground’s Metropolitan line being in the way. As a result, the hotel had to improvise… resulting in a vacuum-flush system being designed, which to this day sees waste being sent rushing upwards! Probably best not to think about it whilst resting on your hotel bed!.. Today, the hotel- which was refurbished between 1997-2000 at a cost of £65 million- has been renamed The Andaz and is still an extremely lavish destination boasting five restaurants. If you can’t afford a night or two at this lavish destination, the hotel is often open for public viewing during the excellent Open House weekend. 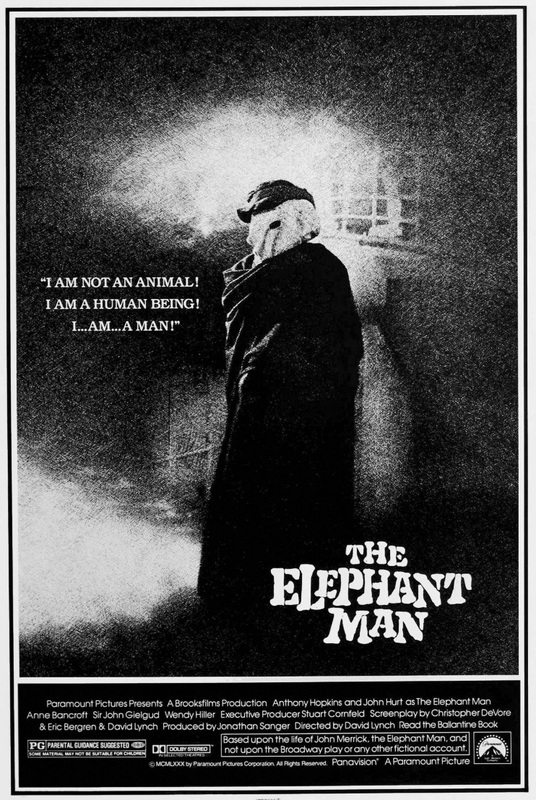 It was at Liverpool Street Station, one morning during the summer of 1886, that Joseph Merrick- aka ‘The Elephant Man’ was mobbed by a ferociously nosy, rush-hour crowd. Prior to this incident, Joseph had been in Belgium where his famous deformities were pedalled in a travelling ‘freak show’. However, by the late 1880s, such exhibitions were in decline and, seeing Joseph as a financial burden, the Elephant Man’s manager abandoned his protégé, stealing Joseph’s life savings to boot. Penniless, frightened and alone, Joseph eventually managed to secure passage on a ferry to Harwich and, once arriving in the port, he boarded a train to London’s Liverpool Street. Once at the busy station, his shuffling gait, oversized cloak and canvas hood quickly drew attention and within moments, Joseph was swamped by baying spectators; a nightmarish echo of the days when Bedlam existed on the site. Following this incident, Joseph was rescued by two policemen and taken by Hackney carriage to the Royal London Hospital where he would spend the rest of his tragically short life. I have devoted two earlier posts to Joseph Merrick’s life and his time in London elsewhere on this website- to read please follow the links to part one here and part two here. Thanks to its close links with Harwich port, Liverpool Street was also responsible for introducing some of the 20th century’s most famous left-wing political figures to London- namely the communists, Maxim Gorky, Rosa Luxemburg, Leon Trotsky (who famously suffered a nasty death when he was murdered with an ice-pick)… and the terrifying future tyrant, Joseph Stalin. It was in 1907 that this as yet unknown group of communists travelled to London in order to attend a political conference. In a way, it was also a spiritual journey, as their communist ideology was born in London, formulated by Karl Marx who resided in the slums of Soho and sought refuge with his writing in the British Library. At Liverpool Street, the red-bunch were met by a small group of journalists and supporters, along with another famous party-member… comrade Vladimir Lenin who was already in London.